Italian clothing firm United Colors of Benetton has been criticised after launching a controversial advertising campaign featuring images of migrants rescued from the Mediterranean. The ads show migrants in life jackets accompanied by volunteers this month. The charity behind the rescue, SOS Méditerranée, condemned Benetton for using pictures of “people in distress”. The ads, which appeared online and in Italian newspaper La Repubblica, feature two separate images captured on 9 June by German charity SOS Méditerranée as part of what became the rescue of hundreds of migrants. 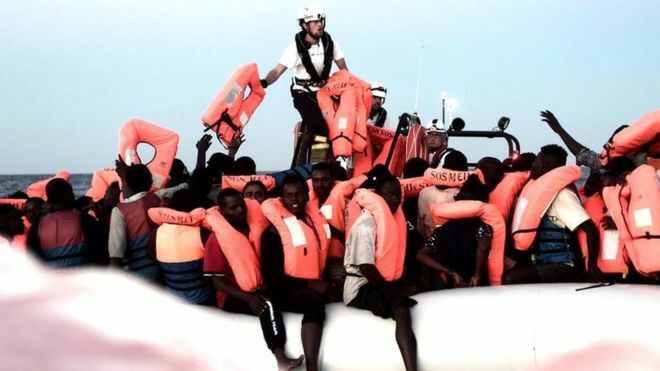 SOS Méditerranée fully dissociates itself from this campaign, which displays a picture taken while our teams were rescuing people in distress at sea,” the charity said in a statement posted on Twitter on Tuesday. Benetton has not yet responded to the comments. Mr Salvini, who leads the right-wing populist League party, refused to allow the ship which rescued the migrants permission to dock at Italy’s ports. Who is responsible for providing helping at sea? The ship, the Aquarius, was also turned away by Malta but it and other ships were later permitted to dock at the Spanish port of Valencia. Mr Salvini promised during Italy’s recent general election to take a tough stance against migration. Italy is the main entry point for migrants crossing from North Africa to Europe. The Benetton advertising campaign was designed by controversial Italian photographer Oliviero Toscani who said the images were “dramatic”, adding that Mr Salvini’s criticism “makes me realise I’m right”. 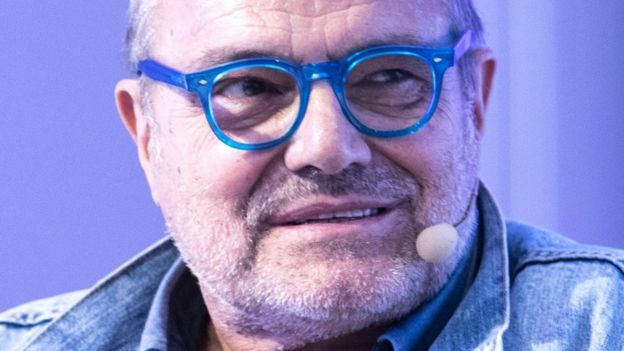 Toscani, who left Benetton in 2000 but returned in February this year, has been behind several divisive ads for the clothing company since the 1980s. He has said that his campaigns, which have touched on subjects such as human rights, religion and racism, are designed to raise awareness of certain issues. In 1991, Toscani offended Italy’s Roman Catholic Church by using an image showing a priest and a nun kissing. The following year, the photographer was criticised over the use of a picture of gay activist and Aids victim David Kirby as he lay ill in a hospital bed. Then in 1996, Toscani produced an ad showing three “human” hearts alongside one another with the words white, black and yellow placed on each of the organs. He lost his position at Benetton in 2000 after the company was forced to apologise over a campaign labelled “We, On Death Row”, which used photographs of prisoners sentenced to death in the US.